Internationally renowned journalist and foreign correspondent Keith Richburg ’76 will be honored in May as University Liggett School’s 2018 Distinguished Alumni Award recipient. Richburg, a Pulitzer Prize finalist for his 1992 coverage of Somalia, spent more than 20 years overseas for The Washington Post, where he served as bureau chief in Beijing, Hong Kong, Jakarta, Nairobi and Manila. He also served as The Post’s foreign editor from 2005-07. During his time at The Post, he reported on the invasion in Iraq, the fall of the Taliban in Afghanistan, the U.S. military intervention in Somalia, the genocide in Rwanda, the 1997 Hong Kong handover, the Asian economic crisis, and the Chinese Communist Party's 18th Party Congress in Beijing in 2012. Richburg, who turns 60 on May 19, the night of the Distinguished Alumni Award reception, says he is honored to be recognized by his alma mater. “I'm really honored, and I've had a charmed life, but there was a whole lot of luck involved,” he says. “As an old colleague from Liggett says, 'Luck is where preparation meets opportunity'. And Liggett gave me the preparation, so when the opportunities came along, I was able to grab them. That's true for all the jobs I wanted, including my current job." 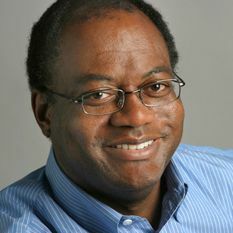 Richburg began working for The Washington Post as a summer intern in 1978 while he was a student at the University of Michigan. He joined The Post after college and since then received a number of accolades and honors including being a Journalist in Residence at the East-West Center in Hawaii in 1990 and president of the Hong Kong Foreign Correspondents Club in 1997 during the year of Hong Kong’s handover to China. He has won several awards, including the George Polk Award, the Overseas Press Club Award, the National Association of Black Journalists Award and was a finalist for the Pulitzer Prize for his reporting from Africa. Richburg speaks English and French, a smattering of Spanish, and has been studying Mandarin Chinese. He also earned a master’s degree in international relations from the London School of Economics. Richburg was the Ferris Professor of Journalism at Princeton University in spring 2014, when he taught an undergraduate course, "Foreign Policy, Public Opinion and the Press," and he was a 2013 Spring Fellow at Harvard University’s Kennedy Institute of Politics, where he led a weekly study group called "China Rising."